QR codes are starting to pop up everywhere… they are even being added to classroom resources as a way to make learning more engaging. 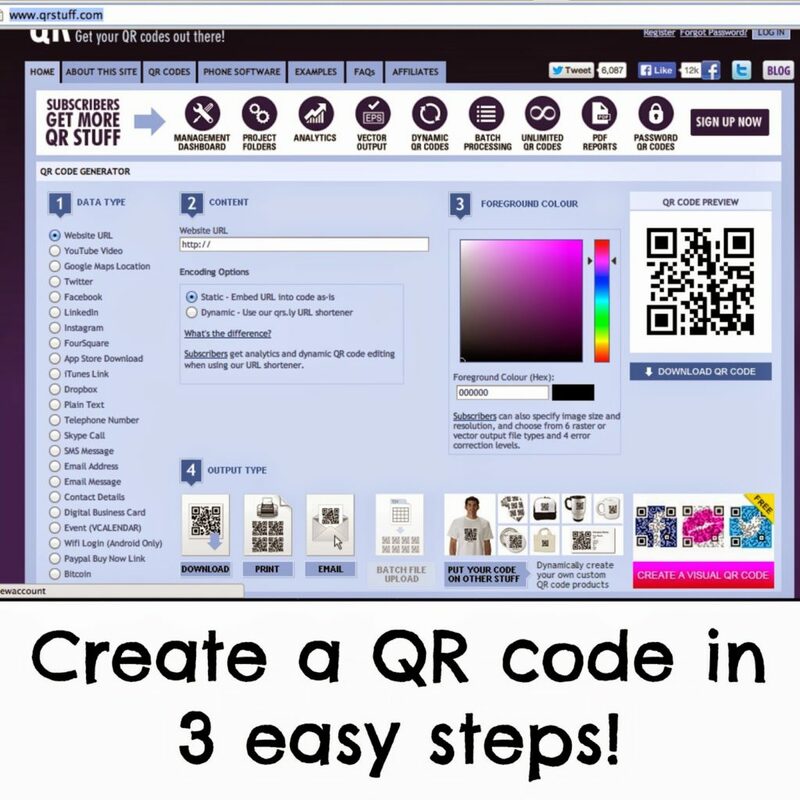 They might seem a bit intimidating at first but learning how to create and scan a QR code is actually really simple to do! Tip: You need a steady hand while holding the item with a QR code on it. It might be easier to lay it on a flat surface. I really like this app because it keeps track of all the QR codes you’ve scanned. Simply click on the history button (the clock type button next to the star). You can also bookmark your favorite links! Before we start, get yourself onto a good ‘QR code generating’ website. 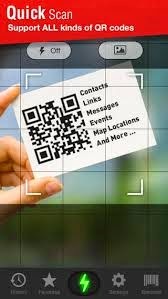 Decide what you want your QR code to link to. There are lots of options to choose from. If you are linking to a website, just copy and paste the link. If you want the QR code to link to a page of text, simply copy and past the text. You could add a step in between and change the foreground color, but you really don’t need to do this. So there you have it. QR codes. Easy! Check back for my next Tech Thursday post when I’ll delve deeper into this. Until next time, happy scanning! Want to pin this post for later? Pin the image below! Teach Procedural Writing Using "Pic Collage" & iPad Mini GIVEAWAY!! Thank for these easy to follow steps! I've been wanting to try QR codes in the classroom!! Thanks! I was just thinking today, I need to understand how to create these! I just found a pin to this post on Pinterest and made my first QR code – thank you so much! 🙂 My students will be getting tablets this year and it will be so easy to send them to websites or shared documents now!